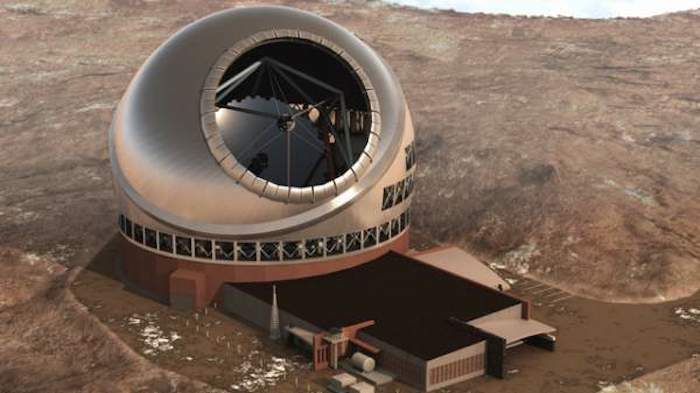 Thirty Meter Telescope officials plan to visit India as they continue their search for alternative sites to Mauna Kea, according to a newspaper report. The Times of India said last week representatives of the $1.4 billion project, stalled in Hawaii following protests and legal challenges from Native Hawaiians, will stop in the mountain village of Hanle in a couple months. The village is located in the Ladakh region near the Chinese border and is home to the Indian Astronomical Observatory at Mt. Saraswati. At 14,800 feet, the Himalayan mountain, renamed after the Hindu goddess of learning, stands about 1,000 feet taller than Mauna Kea. Mauna Kea, home to 13 telescopes, is the tallest mountain in Hawaii and considered sacred by some Hawaiians. India and China are among the partners building the next-generation observatory. In February, TMT International Observatory Chairman Henry Yang announced alternative sites would be sought in case the project is unable to renew its land use permit for Mauna Kea by the end of this year or early next year. The Hawaii Supreme Court overturned the permit in December after ruling the state improperly approved it before the start of a contested case hearing. Multiple roadblocks from protesters — the first starting a year ago — also prevented construction crews from grubbing and grading the site. Meanwhile, the project’s sublease for 6 acres below the mountain’s summit was remanded to the state Board of Land and Natural Resources. B. Eswar Reddy, TMT India program manager, told the newspaper the organization is looking at sites in the northern and southern hemispheres. TMT officials also recently visited observatories in the Canary Islands. Additionally, Project Manager Gary Sanders has said Chile is a potential site.